This study explains how the myths of Greece and Rome were transmitted from antiquity to the Renaissance. Luc Brisson argues that philosophy was ironically responsible for saving myth from historical annihilation. Although philosophy was initially critical of myth because it could not be declared true or false and because it was inferior to argumentation, mythology was progressively reincorporated into philosophy through allegorical exegesis. Brisson shows to what degree allegory was employed among philosophers and how it enabled myth to take on a number of different interpretive systems throughout the centuries: moral, physical, psychological, political, and even metaphysical. 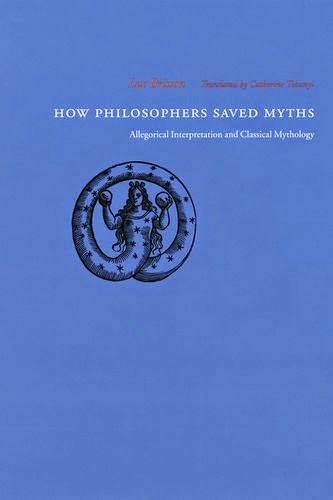 How Philosophers Saved Myths also describes how, during the first years of the modern era, allegory followed a more religious path, which was to assume a larger role in Neoplatonism. Ultimately, Brisson explains how this embrace of myth was carried forward by Byzantine thinkers and artists throughout the Middle Ages and Renaissance; after the triumph of Chistianity, Brisson argues, myths no longer had to agree with just history and philosophy but the dogmas of the Church as well.